Will Annegret Kramp-Karrenbauer be chosen as the next CDU leader? 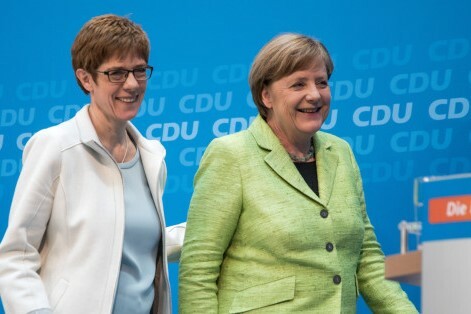 The race over the next leader of CDU party began as Angela Merkel announced the end of her political career in October. There are three main candidates racing to take over the leadership of the party. The most recent polls suggest a tight race between Friedrich Merz, a conservative businessman and former CDU politician, and general secretary of CDU Annegret Kramp-Karrenbauer, assigning better chances to Merkel's favorite Kramp-Karrenbauer. Jens Spahn, health minister, is running a distant third. The new leader will be chosen by delegates at the CDU party conference in Hamburg on December 7.